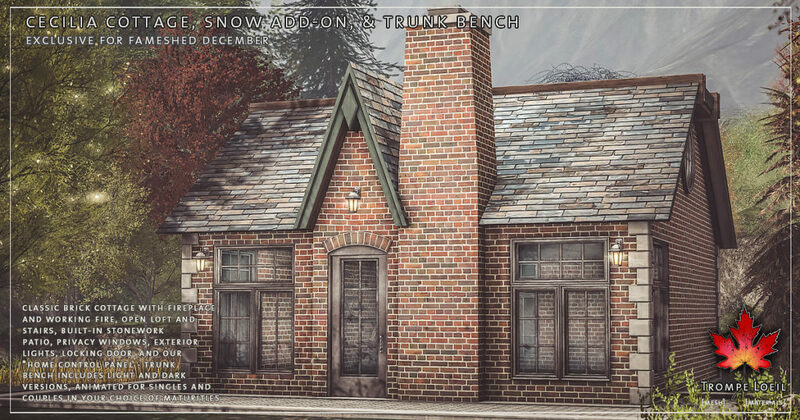 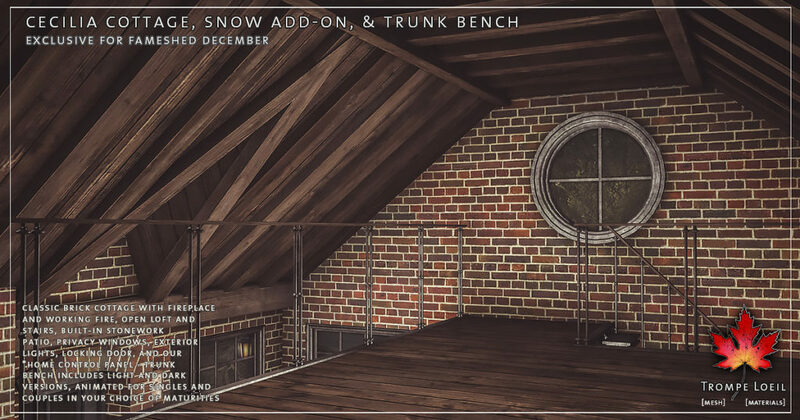 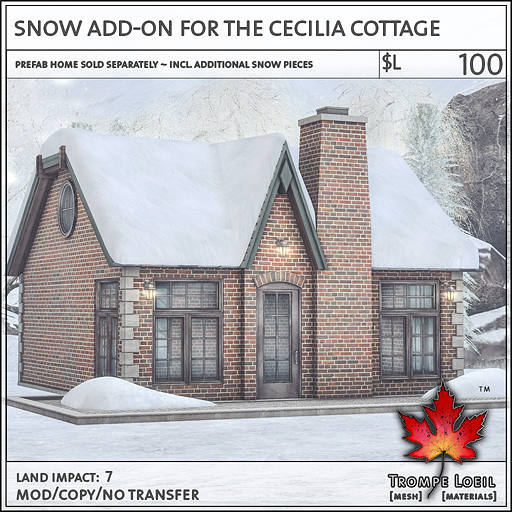 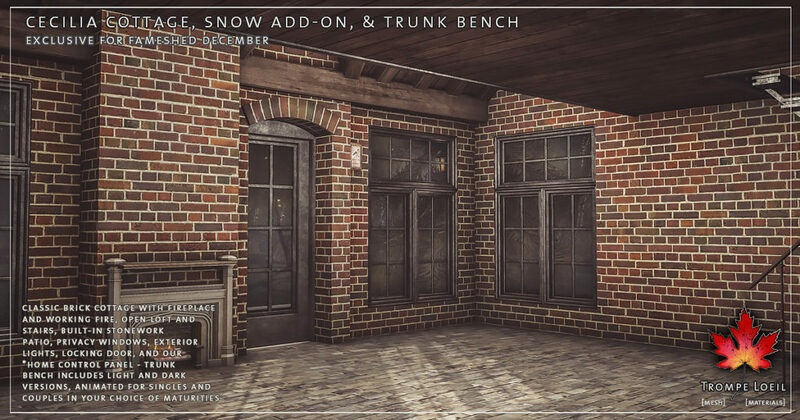 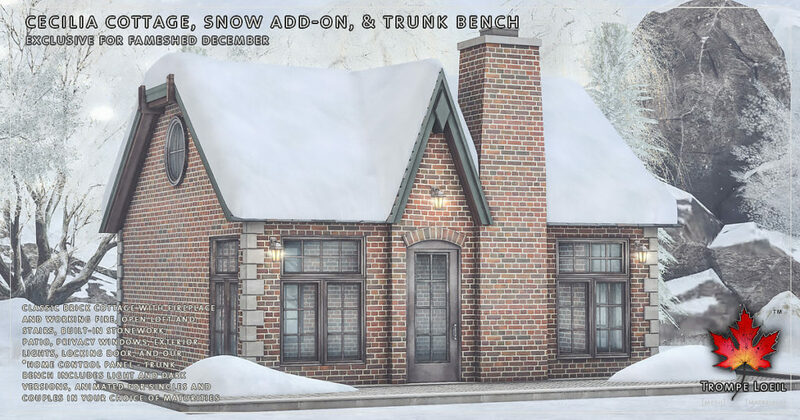 There’s nothing more picturesque than a classic brick cottage covered in snow for the holidays, and regal upcycled storage trunks into seating for two sets the stage – our new Cecilia Cottage, optional Snow Add-On, and matching Trunk Benches for FaMESHed December! 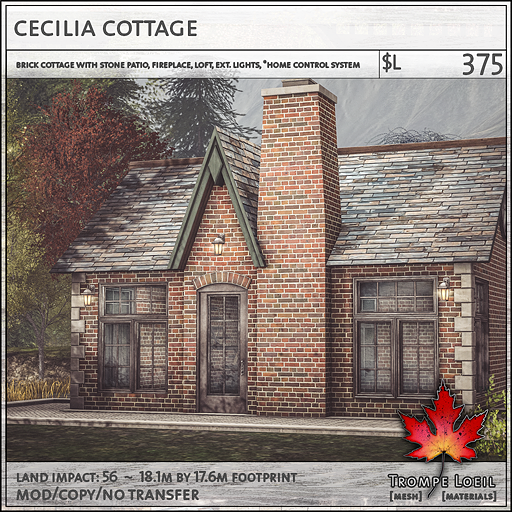 The Cecilia Cottage is a red brick structure with peaked roof entry, built-in brickwork patio, fireplace with working animated fire and smoke effects, and upstairs loft that overlooks the main floor. 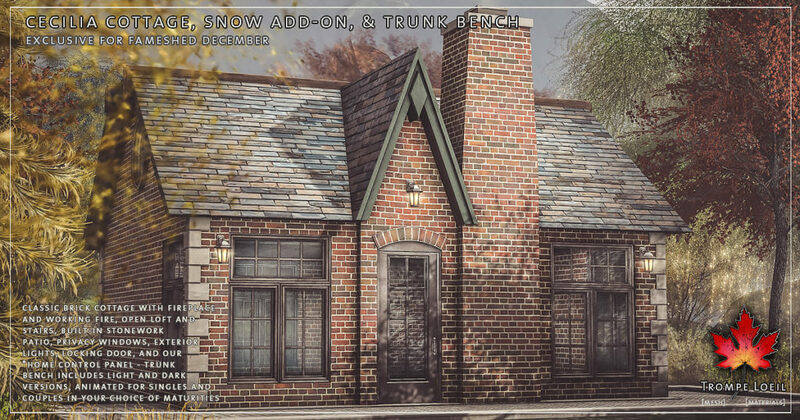 Privacy windows, locking doors, exterior lights, and our *home control system round out the features. Grab the optional Snow Add-On for the perfect holiday touch! 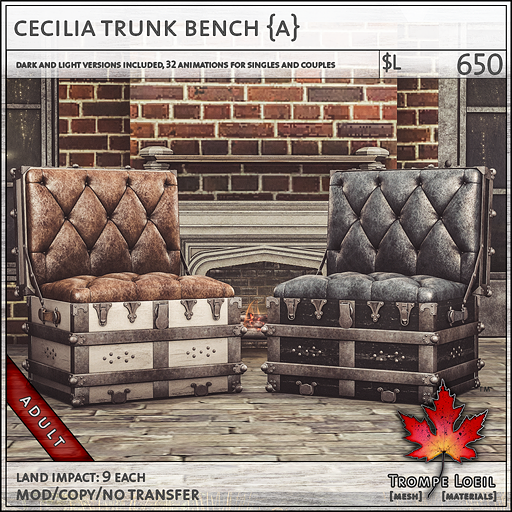 Plus, our matching Cecilia Trunk Benches include light and dark color versions and tons of new animations for singles and couples in your choice of maturities. 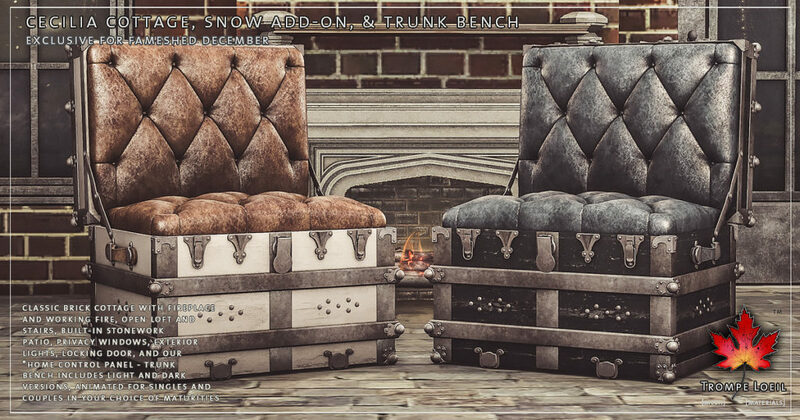 Only at FaMESHed’s December round!